Knickernappies Sighting: Christmas in July Sale, Giveaways & more! 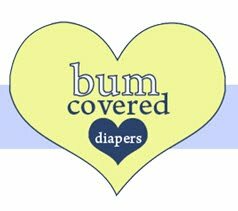 Bum Covered Diapers is doing a Christmas in July sale this weekend with 15% off Knickernappies pocket diapers and inserts, and we're also giving away a Knickernappies 2G pocket diaper during the sale. Details can be found on our Facebook Page or on our blog (http://bumcovereddiapers.blogspot.com). WeeLittleChanges is also having a Christmas in July Sale! Save 10% off with code JulyXMas and don't forget to enter their giveaway for a Knickernappies Onesize Diaper! Giveaway ends August 22, 2010. 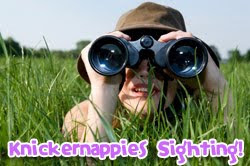 Don't forget to check the Knickernappies Wall by viewing posts by Knickernappies & Others and you'll find tons of other sale announcements by Knickernappies Retailers as well as giveaways and more! Also, while you're on the FaceBook Page make sure you become a Fan of our retailers to stay up to date on all the latest and greatest!